It’s getting down to the nitty gritty in the football season, and only about ten teams still have reasonable playoff dreams (probably less, but this is 4th and 10 so I cut the list at 10). Each team also has pressing questions that they need to answer before realizing their playoff and/or title hopes. 10. Georgia- Are they balanced enough offensively? When you say Georgia, everybody thinks of Todd Gurley and Nick Chubb (and for good reason). However, if Georgia wants to win a conference championship and potentially sneak back into the playoff conversation, they will need to bolster their passing attack. They are 99th in the country in passing offense. If they find themselves behind and needing to throw the ball to come back could they do it? 9. UCLA- How will they handle stepping back in the limelight? I know it’s odd to be asking this about a team that plays its games in Hollywood, but it’s a legitimate question. 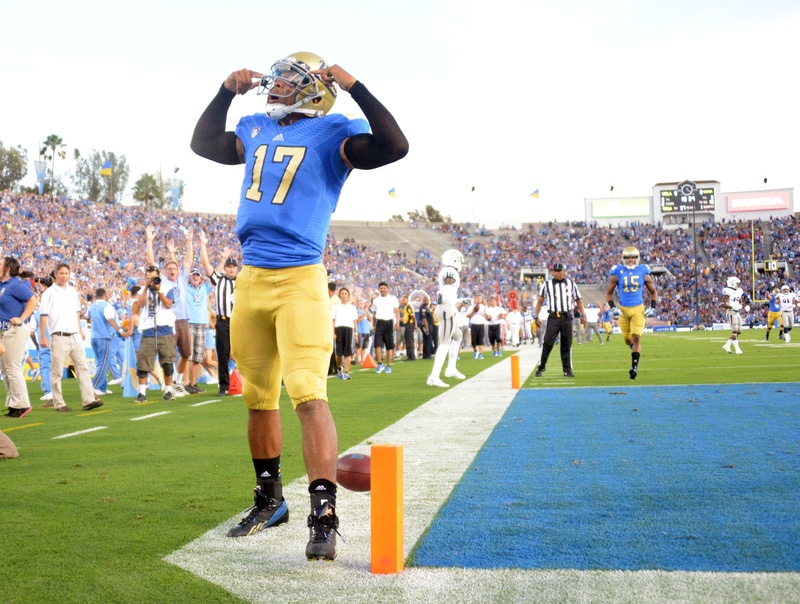 UCLA was a media darling in the season, primarily due to the mass salivation of pro scouts over Brett Hundley. The Bruins responded to that attention by beating Virginia, Memphis and Texas by a combined 18 points, then blowing out Arizona State before dropping two consecutive games at home to Utah and Oregon. That promptly dropped them out of the spotlight. Since then, they’ve quietly reeled off four straight victories and if they can beat USC and Stanford in the next two weeks will win the Pac-12 South. 8. Ole Miss- How deep are they? Ole Miss has been ravaged by injuries lately. They are, quite literally, not the same team they were a month ago. They lost Laquon Treadwell in the Auburn game and Denzel Nkemdiche in the LSU game. Neither of them will play again this season. That brings their season ending injury total to six. They lost TE Matt Brown, DB’s Tee Shepard and Carlos Davis, and WR Collins Moore in the preseason to season-ending injuries. Running back I’Tavius Mathers, DB Trae Elston, and offensive linemen Aaron Morris and Laremy Tunsil have all missed time with injuries too, but are tentatively expected to return this week. 7. Baylor- Could they survive a down game offensively? Baylor’s defense is actually probably better than they are given credit for, but a weak schedule and a dazzling offense that dims everything around it have led to the defense being questioned. The offense is averaging 50 points per game. The question remains, if the offense isn’t clicking can they rely on the defense to win them a big game? I think the answer is potentially yes, but there is no evidence to support it at the present. 6. Ohio State- Is there a regression in J.T. Barrett’s future? This question is one of the few that I feel pretty strongly that I could answer “no” and feel really good about it. I believe that J.T. Barrett is now comfortable and up-to-speed with the college game and there is no doubt about the kid’s talent. However, the guy who threw three picks against Virginia Tech (and more recently two against Penn State compared with only 74 passing yards) is still there, and if that J.T. Barrett shows up again the Buckeyes are in trouble against any quality competition. 5. 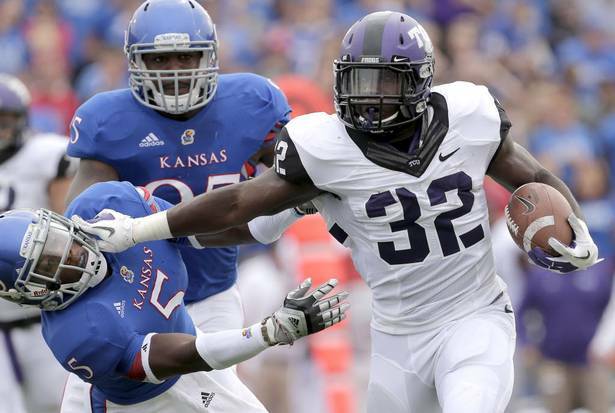 TCU- Was Saturday a wake-up call or a warning bell? TCU is one of the more complete teams in college football. The defense gets a bad rap because of the 61-point fiasco against Baylor. That was an outlier game. However, only beating lowly Kansas by four and needing a special teams touchdown to secure that victory is certainly alarming. Once again, this is probably an outlier game, but the TCU faithful have to be at least somewhat concerned that another flat performance could happen. 4. Mississippi State- Will Dak find the cure for his turnover bug? Dak’s Heisman campaign is officially over with the Bulldogs loss to Alabama on Saturday. If Mississippi State is going to make any noise in the playoff, or even get there for that matter, Prescott has got to protect the football better. He’s already thrown ten interceptions this year, and five of them have been in November. That’s got to stop or Mississippi State will lose again, either in the Egg Bowl, a bowl game, or the playoff. 3. Florida State- How many close calls is too many? Florida State is undefeated, but the reason they aren’t number one is because of how many close calls they’ve had this season. Jameis Winston may not be a model citizen off the field, but he’s been nothing short of a Seminole savior on the field. They’ve won four games by single digits, and had to rally from double-digit first half deficits to beat Louisville and N.C. State. If you play with fire, eventually you will get burned. Just ask Auburn. 2. Oregon- Can the offensive line hold up and protect Marcus Mariota? Oregon’s offensive line was never one of the best in the country. However, now they’ve lost All-American Center Hroniss Grasu and there’s no timetable for his return. They are also without tackles Andre Yruretagoyena and Matt Pierson currently, but both could potentially play this Saturday. They can’t keep themselves healthy, how are they going to keep star QB Marcus Mariota upright and healthy? This is probably the biggest barrier to Oregon’s national title hopes at the moment. 1. Alabama- Are they good enough away from home to win 3 consecutive neutral site games? Alabama has been fantastic at home this season. They have beaten everyone except previously #1 Mississippi State by three touchdowns or more at home this season. Their home schedule has also likely been a little easier than their road schedule, but they have been significantly worse on the road this season. They will have to win away from Bryant-Denny though if they want to win the “whole enchilada” though. Three times to be exact. I still have serious questions about whether or not they can do that, but time will tell.